ISLAMABAD: The Supreme Court on Friday rejected an appeal to transfer former MPA Abdul Majeed Khan Achakzai’s case from an anti-terrorism court (ATC). Achakzai was arrested on charges of running over and killing a traffic police sergeant in Quetta last year. Justice Gulzar Ahmed headed the three-member bench hearing the case and said if the case was tried in an anti-terrorism case, then a compromise would not be reached and Achakzai would be tried for the crime. The case was transferred from the Balochistan High Court (BHC) to an ATC last September where Judge Dawood Kahn Nasr accepted the bail application and granted the former lawmaker bail in the hit and run case. The unfortunate incident took place on June 20 when a speeding official vehicle, belonging to Achakzai, directly hit Dashti, leaving him seriously injured. Dashti, later, succumbed to his injuries. A cyclist, Abdul Ghafoor Baloch was also injured by Achakzai’s vehicle. Achakzai, who is also chairman of the Public Accounts Committee of Balochistan Assembly, admitted that he was driving his official vehicle when the accident took place. He said he would settle the issue by paying compensation to the family of the late traffic sergeant as well as the injured passerby. Achakzai, who was elected to the Balochistan Assembly in 2013 elections from PB-13 Qila Abdullah, intended to leave for Dera Ghazi Khan along with tribal elders to meet the family of Dashti. Inspector General of Police Balochistan Ahsan Mehboob and other senior police officials took serious notice of the tragic incident and ordered the concerned police officials to register a case against the MPA. Achakzai allegedly ran over the warden after the latter ordered him to stop at GPO Chowk, which lies in the maximum security area of Balochistan’s capital, on June 20. What was at first thought to be an accident was later suspected to be a deliberate act on the MPA’s part once CCTV footage of the incident emerged. There were also reports that Achakzai was drunk and driving recklessly when the officer signaled him to pull over. The police initially registered a ‘traffic accident’ case but were compelled to up the charge to ‘manslaughter’ after the footage – which showed Achakzai exchanging harsh words with the warden and then running him over – went viral on social media and prompted protests by the Balochistan press. The lawmaker was subsequently arrested by a police team, headed by a senior officer. 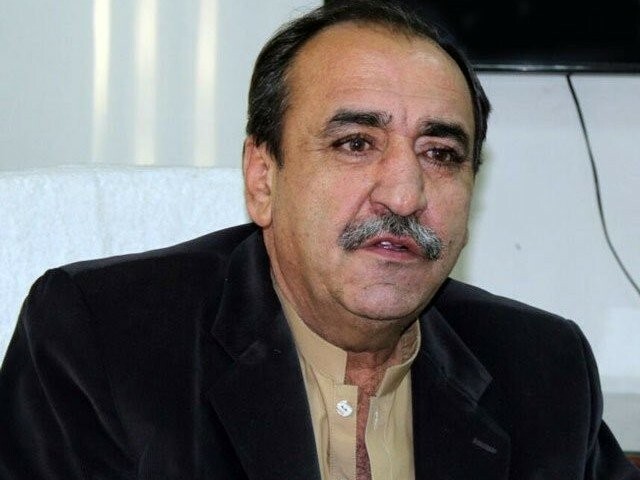 “Yes, we arrested MPA Majeed Achakzai from his residence in Satellite Town area on charges of running over and killing a traffic police sergeant Haji Attaullah Dashti,” the senior officer at the Civil Lines Police Station confirmed.